Gaining wisdom can be mostly a positive pursuit, but it must be accompanied by discernment. Wisdom (def.) = The ability to make a decision based on the combination of knowledge, experience, and intuitive understanding [Source: Wiktionary.com]. Discernment (def.) = Discretion in judging objectively [Source: Wiktionary.com]. You can gain wisdom through pure knowledge. You can also gain wisdom through experience. 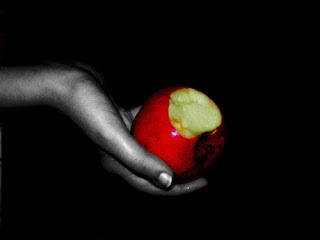 In the garden, Adam and Eve gained wisdom the hard way - through the experience of eating the forbidden fruit. Then, they had to suffer the consequences of this new found wisdom. If they had been discerning, though, and had objectively judged the decision of gaining that wisdom, they may not have been disobedient to God's command. The wisest man ever to live, King Solomon, actually pursued folly and pleasure, in order to gain more wisdom. The entire book of Ecclesiastes is an account of Solomon's observations in this pursuit of wisdom. Unfortunately, some people cannot seem to learn from other people's mistakes. They need to make their own set of major mistakes in order to gain wisdom. Since we are all birthed in sin from Adam and Eve's decision in the garden, we will all make poor choices in our lives. The key, though, is to learn from these poor choices and bad experiences, and then gain knowledge and wisdom through it. As you gain more and more wisdom, then you must employ discernment in the process of future decision-making. What major mistakes have you made in your life? Have you allowed these bad experiences to grow you? Have you gained wisdom through the process? Are you wrapping discernment around your current decision-making process?